Hope you are all enjoying this beautiful Sunday!!! 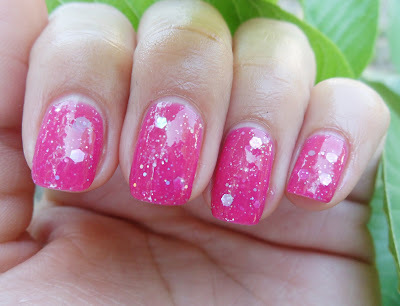 Laura from Laura's Lacquers is hosting a Franken competition which I entered. The object was to create a franken inspired by movie. I created my very first franken just for this contest, it seemed like it would be a lot of fun and it was. Anyways, my inspiration was Legally Blonde... named my lil creation PINKABRUISER!!! Legally Blonde is one of my all time favorite movies... so when I thought about a movie to make a franken for I figured this would be the perfect movie. 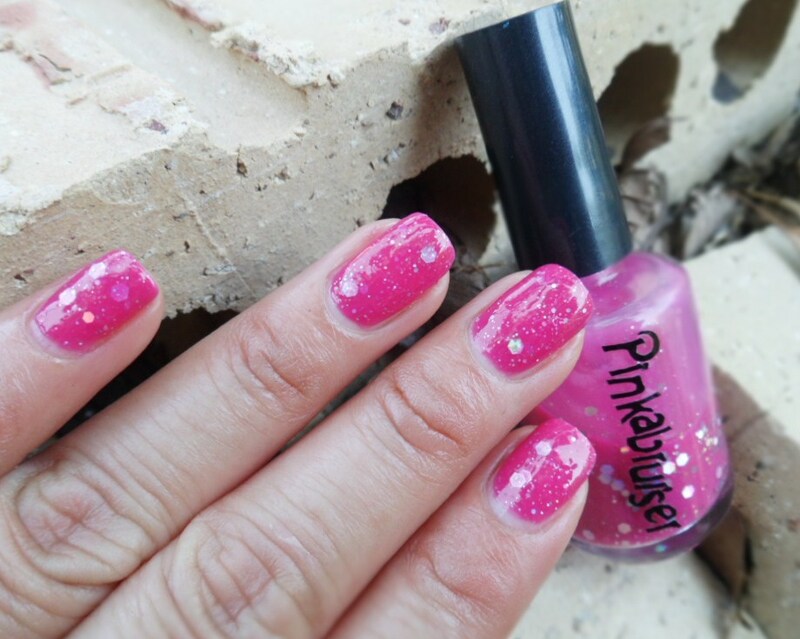 Elle Woods is all about bright pink and shimmer, sparkle.....glitz......... and her best friend Bruiser... hence PINKABRUISER :P"
Anyways, go check it out!!! There are a lot of awesome entries, Mine is #6. I love that movie! It's one of my faves too! This franken is awesome! You did so good! I'm so happy with the turnout for the contest. Good luck! I saw it earlier today together with the other contestants! Nice franken. Wow, your franken turned out great! Wow!! It turned out great! And LOVE the name! One of my fave movies ever! Great movie, great polish, and great name! Good luck in the contest!